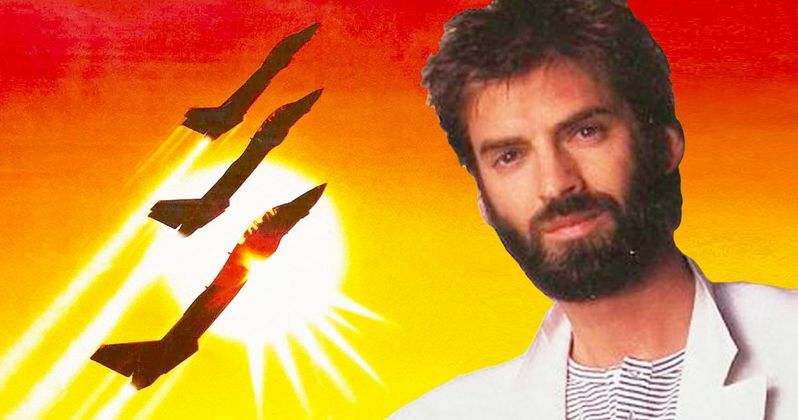 Top Gun 2 is heading back to the "Danger Zone" with Kenny Loggins. The long-awaited sequel to the 1986 Tom Cruise classic recently kicked off production. Cruise is back in the pilot's seat as Maverick, but one question on the minds of many fans was whether or not Loggins would return to help out with the movie's soundtrack. It sounds like that's going to happen, as he's going to put a new twist on "Danger Zone" with a younger artist. TMZ caught up with Kenny Loggins at the airport recently and asked him about potentially revisiting his classic 80s hit for the upcoming sequel. Loggins played it coy at first saying, "I certainly hope so," but then proceeded to dish some additional details. Here's what he had to say about it. "I met Tom Cruise on Fallon and I asked him that question. He said 'Of course we have to use Danger Zone.' So I'd probably do it maybe as a duet with a young act. I'd like to work with, well there's young and then there's young...we have some feelers out there. Some pretty cool rock acts. The rockers that I'm interested in are male." To be clear, Kenny Loggins wasn't saying he isn't interested in female rockers, but it's just that the ones being looked at to possibly collaborate with for this new take on Danger Zone are male. The singer/songwriter added, "Maybe do it his way or their way, depending on if its a band or a solo artist. So we'll reinvent the song, to a point. That's what I'm hoping to do." He wouldn't reveal any of the artists they're reaching out to right now, so it's really anyone's guess as to what contemporary act may be putting their stamp on Top Gun 2. Danger Zone anchored the original Top Gun soundtrack when it was released in 1986. The single reached number two on the Billboard singles chart and the Top Gun soundtrack went on to become the highest selling soundtrack of the 80s and remains one of the highest selling movie soundtracks ever to this day. It's synonymous with the movie and it would be tough to imagine them doing the sequel without featuring the song in some way. Fans can only hope this new version turns out better than the Fall Out Boy Ghostbusters theme did. Production on the sequel, officially titled Top Gun: Maverick, just got underway last week, with Tom Cruise sharing the first photo on social media to announce that filming was underway. The movie is being helmed by director Joseph Kosinski, who previously collaborated with Cruise on Oblivion and also is known for directing Tron: Legacy. So he has some experience bringing classic movies from the 80s back to life. Kenny Loggins also said, "I'd also love to do a walk on in the movie but that probably won't happen." Certainly someone could make that happen, right? Top Gun: Maverick arrives in theaters on July 12, 2019. This news comes to us courtesy of TMZ.